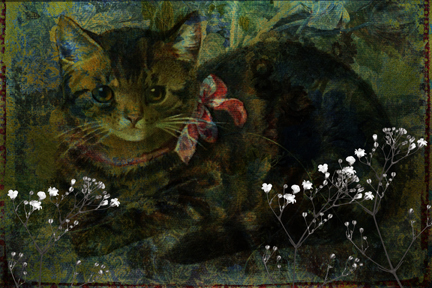 Lunagirl Moonbeams by Lunagirl Vintage Images: August Challenge Theme: Animals all month! Starting this month, my creative challenges here will be ALL MONTH LONG! 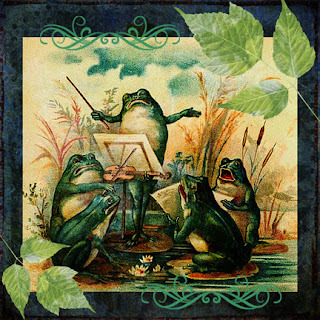 A new challenge theme will start on the 1st of each month, and continue until the last day of the month when I will choose a winner by random drawing. So now you will have more time to create and more time to enter ~ and remember everyone can link up to 3 entries. 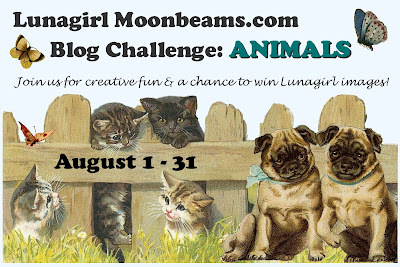 Use a Lunagirl image and double your chances to win! The challenge theme for the month of August is ANIMALS. 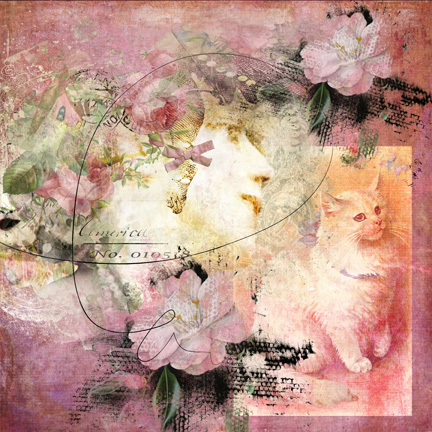 I have some great collage sheets to get you started, featuring Victorian cats and dogs, woodland animals, wild animals at the zoo, cows and pigs and other animals on the farm, horses and riders, roosters and chickens, butterflies, plenty of birds and also plenty of Victorian girls with kittens and puppies! 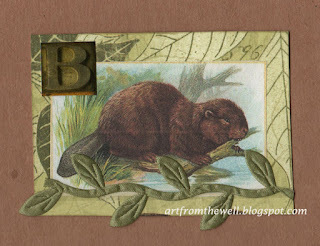 Animals on digital collage sheets Actually I even have a whole Vintage Animals CD. I can't wait to see what you create ~ link up your entries below. And I know you'll enjoy the Design Team inspiration below. Challenge ends at 2:00 pm CST on Monday, August 31. Hello, this is my first time here - I'm on the Challenges for Days team so I found out about the challenge when you contacted Zoe last week. And I absolutely HAD to join in - because I have a granddaughter called Luna!!! 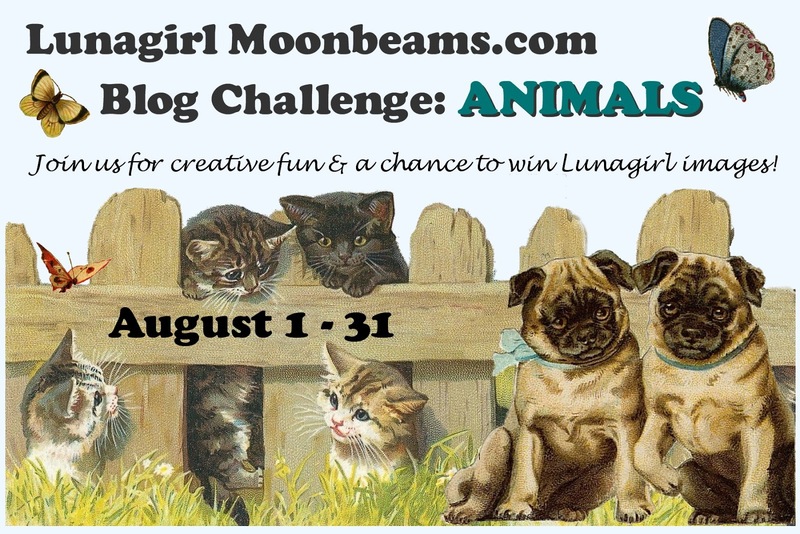 woo hoo...another great challenge theme at Lunagirls! Thanks for the "animals" challenge. The DT samples are beautifully created! Your DT's creations are absolutely beautiful! 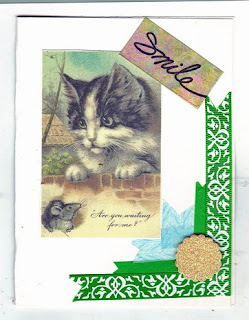 I love animals and especially cats! I just linked up my card - I would love to win some of your images - they are gorgeous! Gorgeous art work by a wonderfully talented DT! I love these challenges!